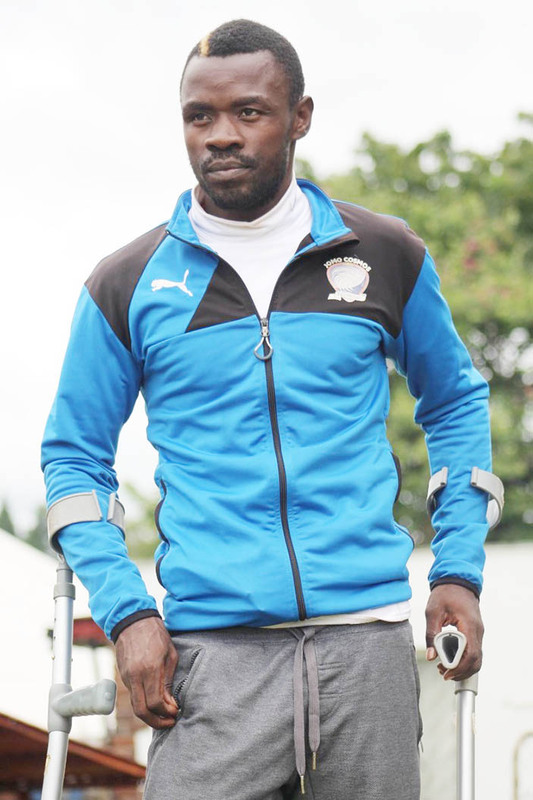 BLACK RHINOS striker Lot Chiunga says he has to deal with the emotion of missing out on pre-season as he continues his rehabilitation from a broken leg. Chiunga scored nine goals for Chauya Chipembere last season as they finished seventh in the league. He fractured his leg in December but is optimistic of a return to training in March after a successful operation. “At the moment it’s now better because I can at least walk sometimes without the crutches but there is still pain and swelling. “Like the doctors are saying by 15 March I’ll be able to start light training, we are on course,” he said. The pain and trauma of such a horrific injury is not new to the player who once had a similar setback. Chiunga said he is coping well with the emotion as he would rather be on the field than the bench. His return has been set for May. “I recently started attending training sessions and it was painful to see others training whilst I cannot. “My blood is football so I think about football all the time but I have to adjust until I’m fit. “Maybe 30 March when the season starts I’ll begin physical training then time to return to full fitness so around May I hope to be back playing,” he added. Black Rhinos and Hebert Maruwa have already brought in big striker Francisco Zekumbawira from ZPC Kariba with the likes of veteran Allan Gahadzikwa expected to find the goals in Chiunga’s absence.